Barney’s Brother offers a full-service array of nail services for both women and men. Our soothing manicure services include trimming and shaping of nails, cuticle work, calming and moisturizing hand massage, and application of the polish of your choice. This treatment utilizes heated mitts that allow for maximum penetration of beneficial premier hand and nail products used. For added durability, we highly recommend our Shellac manicure. It includes all the features and benefits of our standard manicure, but utilizes genuine Creative Shellac polish. It goes on like polish, but wears like gel. It resists dulling, nicks and chips for a full two weeks, and removes easily. We also offer the Light Concept Nail gel nail system. LCN utilizes a nail overlay system allowing virtually anyone to obtain strong, beautiful nails in the length of their choice. LCN overlays provide a natural look over existing nails, including the addition of tips when necessary. Sit back and enjoy the soothing whirlpool jets while enjoying our Deluxe Pedicure. 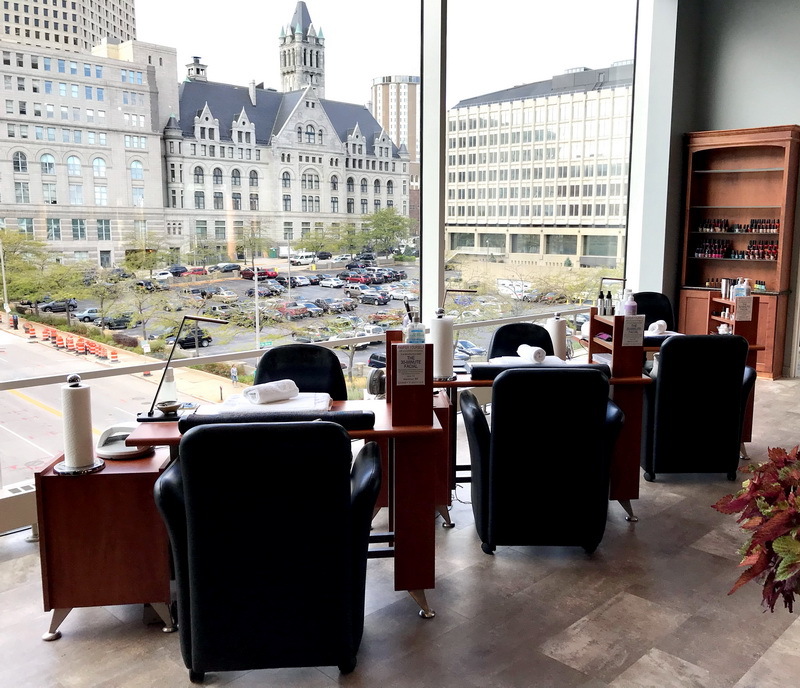 This thorough 60-minute pedicure includes soaking, nail preparation, sloughing, filing, application of comforting and hydrating foot mask with a steamed towel wrap, massage and polishing. The complete menu of our nail and other services is available here. Please feel free to contact us by phone at 414-276-6555 or email info@barneysbrother.com with any questions, or to request an appointment.